The waterfowl study leader for the Louisiana Department of Wildlife and Fisheries since 2008, Reynolds spends several days each fall in the seat of an airplane staring out at a variety of habitat during those annual surveys. As you might expect, in even the slowest of years, he sees thousands and thousands and thousands of birds — and observes how they move about and interact on the landscape. 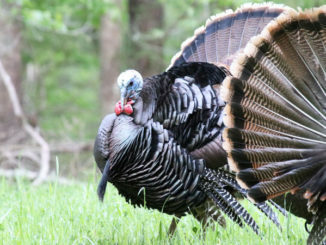 In the course of estimating the number of birds calling the Bayou State home each winter, he also comes across hunters’ efforts at producing realistic decoy spreads from his seat in the plane — and well, let’s just say some are better than others. “When I can look at a decoy spread and go, ‘That doesn’t look like ducks,’ I gotta believe a duck does the same thing,” Reynolds said. “Hunters have to be aware of what ducks look like on the water. They don’t universally mix around, and they don’t sit in large regular groups. When I see regularity, I know it’s not ducks. Whenever there is a discernible pattern, I know it’s not ducks. On his 150-acre lease in the marsh in Cameron Parish, he keeps things pretty simple for the opening of the season. 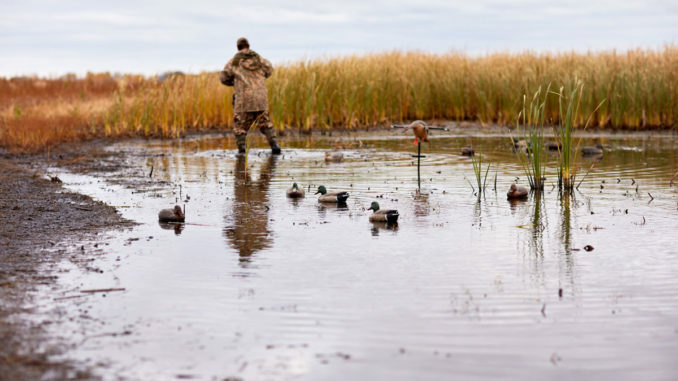 “I start out in my biggest pond with a pretty good spread of 70 decoys,” Reynolds said. “Typically, I start out with three dozen teal decoys, six hen mallard decoys to represent mottled duck pairs, then I’ll use a dozen or so pintail decoys out in the more open parts of the ponds. As the season progresses, Reynolds drastically downsizes his spread and seeks out smaller ponds on his lease as dabblers pair up and become less social. “By the time the season ends, I’m hunting with typically a dozen decoys, and that will include a couple of hen mallard decoys, five teal decoys and couple of mallard decoys,” he said. “So the adjustments that I make on my little patch of ground are primarily based on the behavioral differences of the ducks …. As for spinning-wing decoys, Reynolds says they definitely catch his eye when he flies the January aerial survey while hunters are out in the field. But Reynolds uses a spinning-wing decoy only during teal season. If you feature one in your spread during duck season, he suggests using it in moderation via remote control. “If they’re continuously spinning, you look at that and go, ‘That’s not realistic,’” he said. “They do it in a way that becomes predictable and overdone.